The boating death of the Miami Marlins star pitcher Jose Fernandez shocked and devastated the team and the community. Now, a toxicology report reveals Fernandez, 24, had a blood-alcohol level that was almost twice the legal limit and he also had cocaine in his system. His two friends, also killed in the boating accident, had alcohol in their systems too, though they were under the legal limit. Authorities opined the three died of blunt force trauma to the torso and head after the boat slammed into a jetty around 3:30 a.m.
We still don’t know at this point who was actually operating the boat. However, we do know, based on the latest boating statistics released by the Florida Fish & Wildlife Conservation Commission (FWC) that alcohol and/or drug use played a role in 1 out of every 5 boating fatalities in Florida last year. There were a total of 737 reportable boating accidents in 2015 (those that involved injuries or caused more than $2,000 in property damage). Florida has the most registered vessels in the nation – 916,000 – a figure that has been steadily growing with the economic recovery. 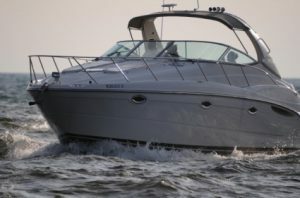 Although boating under the influence (BUI) is a crime by Florida law (F.S. 327.35), and penalties are somewhat similar to those for driving under the influence (DUI) (F.S. 316.193), there are some loopholes that lawmakers have been trying to close for sometime. As the Palm Beach Post recently reported, BUI enforcement and treatment under the law raises a number of complex questions. Boats, unlike cars, aren’t equipped with certain protection systems like airbags, seat belts, brakes, child restraints and other buffers that help to protect passengers. Neither do they travel on pathways that are clearly defined. They are largely susceptible to ocean waves and currents. There is no clear street. No road markings. Sometimes, the lighting is largely inadequate. So some argue that applying the exact same rules is unfair. However, we have to ask whether it’s fine for someone with multiple BUI convictions to face a slap on the wrist when they are later arrested for DUI. There are also concerns that we allow boats to be driven by individuals who are not licensed to do so – because there is no licensing system in place. Sure, boaters are supposed to complete a safety course and obtain a boater education identification card. However, while there are nearly 1 million registered vessels in the state, only 45,000 lifetime boating safety identification cards were issued last year. FWC representatives insist they have no tolerance for impaired drivers and they won’t hesitate to arrest impaired boaters, but the penalties for BUI and DUI are still different. Both may face similar jail time and fines. 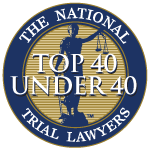 However, the long-term implications are much more severe for those convicted of DUI. For example, drivers convicted of DUI have their crimes reported to the Florida Department of Highway Safety and Motor Vehicles, and that information is used if the person is ever convicted a second time for DUI. However, if someone is convicted of a BUI, that information won’t be taken into consideration for their driving privileges or future penalties if they are later arrested for driving drunk. Provided that prior convictions for DUI be considered “prior convictions” in BUI cases (again, to increase penalties for repeat offenders). Those measures sputtered out in committees before they gained any real support. There are discussions following Fernandez’s tragic – and high-profile – boating accident death that perhaps we need to revisit these critical safety issues.